Linda Niessen, D.M.D., M.P.H., M.P.P. Linda Niessen, D.M.D., M.P.H., M.P.P., dean and professor of the Nova Southeastern University (NSU) College of Dental Medicine, was recently named a Fellow of the American Association for the Advancement of Science (AAAS). She was elected to receive this honor by her AAAS peers. 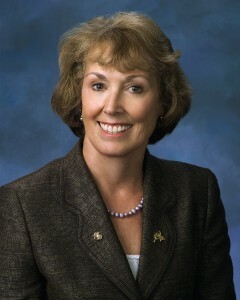 Niessen is one of 396 AAAS members who were chosen by their peers for “scientifically or socially distinguished efforts to advance science or its applications.” Specifically, she was lauded for her distinguished contributions to the field of dental public health, particularly geriatric oral medicine, dental services and health policy as well as access to oral health care. Niessen will be inducted as a Fellow at the AAAS Annual Meeting on Saturday, February 17, 2018 in Austin, Texas. Niessen joined NSU in October 2013. She previously served as a clinical professor in the Department of Restorative Dentistry at Texas A&M University’s Baylor College of Dentistry. Niessen’s research interests include geriatric oral research and education, epidemiology of oral diseases in older adults, and oral health public policy. Niessen received her bachelor’s degree in chemistry (Phi Beta Kappa) from the University of New Mexico and her Doctor of Dental Medicine (DMD), Master’s in Public Health (MPH) and Master’s in Public Policy (MPP), all from Harvard University.